One-on-one mentoring is child-focused and family driven. Therapeutic mentors teach, coach and aid children, adolescents, teens and families to develop specific skills, or to help an individual child with behavioral, emotional or developmental needs. Therapeutic mentors are professionals, and come from all walks of life including social workers, teachers and police officers. 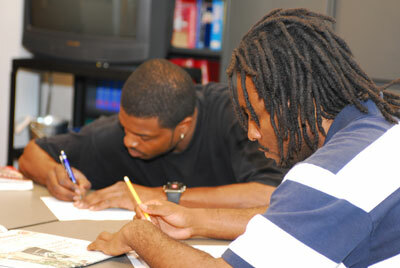 All therapeutic mentors are screened, trained, and have experience in working with children and families. Each child or teen is assigned a mentor who collaborates with members of the child's family to work toward mutually agreed upon treatment goals. These goals center around increasing a youth's independence, coping and social skills as well as connecting him or her to additional community resources. Fee: NHSS is currently a vendor for Roanoke Area Family Assessment and Planning Team (FAPT). Services may also be funded by various other local or state social services oriented agencies. Eligibility: Youth who are experiencing emotional and behavioral difficulties and who are at risk of displacement from their home, school or community; and those who currently receive foster care services often are eligible for services under most social services funded agencies. 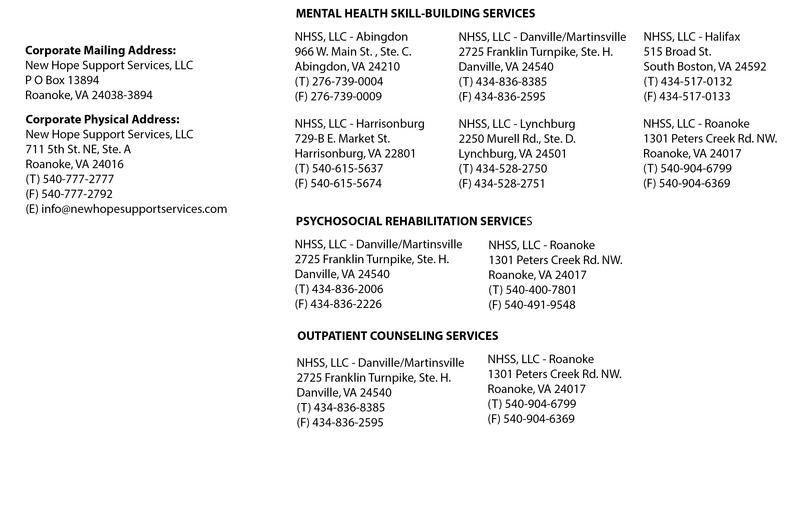 For more information regarding eligibity or services, call 540-777-2777.